Dear Mr. Gravesen First one - I've finished my pair of TL3W last month and....my life is better now! They are simply amazing...! Please wait an a better mail, i want to write it when my two friends finish their pair of TJL3W and send lot of photos (and write in an a better english...!). Second one - Have you never think about some cheap project? I like so much diy..but it's too expensive to me using only special series of SEAS or Scanspeak... something like an a little monitors.. or something else. Have you never tried the W3-871 SA of TANG BAND? It's a very interessant component, for example. Thanks again Mr. Gravesen, see you soon! now I'm an a happy owner of a pair of TJL3W ( I hope that i can send you an a complete test as soon as possible) and i have built another pair for my friend. 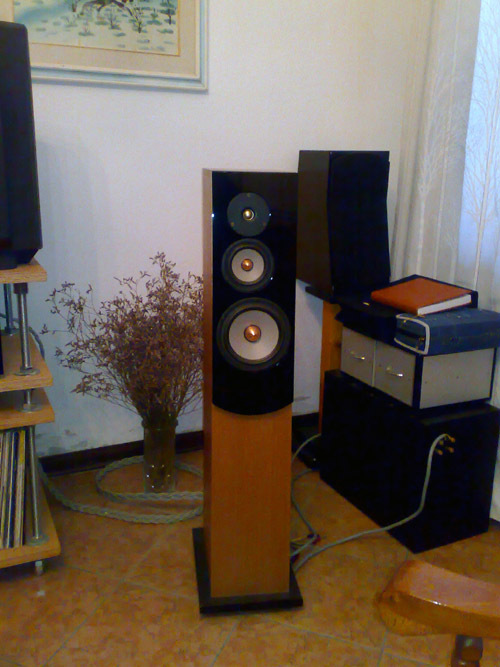 Now I want to try to build an a little pair of two ways using tweeter and midrange of my TJL3W. Is it possible? I'm thinking about the possibility to use the cabinet of the W11XT with the same reflex or build ana dedicated 5 liter box in bass reflex. May I use the crossover of the TJL3W and transform it from an a pass band to an a simply high pass for the midrange ( Without destroyng all the filters?) How I can put the reflex on the lower surface of the box? Thanks a lot Mr. Gravesen!